This single issue label indicates that the animal feed is tested to be 99% free of GMO residues. 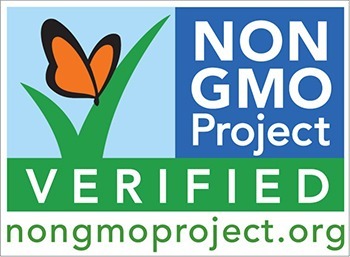 Non-GMO is not necessarily organic (though all organic is non-GMO). It also does not address pesticide or other chemical or drug use in the feed or the animals themselves.